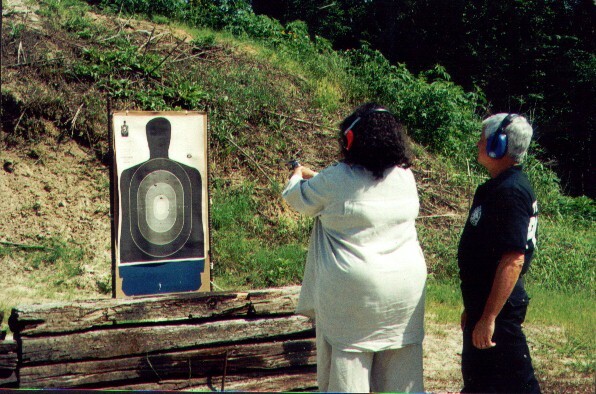 The Terrell Police Service offers concealed handgun instruction as a public service. See below for a list of class requirments and schedule. Classes start at 8:00 AM. The classroom is located at 105 N Rockwall in Terrell, In the back of the YMCA building. You can make a reservation for a class by calling 972-551-6622 x231 or by Email at the link below. Leave your name and the class date that you wish to attend. Concealed Handgun Applications can be obtained from the Department of Public Safety link provided below. Click on the link then select “Concealed Handgun” from the drop down menu under “Online Services”. · You must be a legal resident of Texas for the six month period preceding the date of application, or if you are a resident of another state you can obtain a non-resident license. · You must be 21 years of age. A person under 21 may take the proficiency course, but must be 21 before submitting an application. · A person who is at least 18 years of age but not yet 21 years of age may take the class if the person is a member or veteran of the United States armed forces, including reserves or National Guard. If discharged it must have been under honorable conditions. · You must supply a handgun of at least .32 caliber or larger. If you take the class with a revolver you can only carry a revolver with the license. If you take the class with a semi-automatic you can carry any type of handgun with your license. · You must supply 50 rounds of factory ammunition. · You must supply eye and hearing protection. Hearing protection must be in the form of earmuffs that cover the ears. If you wear eyeglasses that will satisfy the eye protection requirement. · Bring a black pen to write with. · Dress appropriately for the weather the range is outdoors. · Bring two passport photos if you want your fingerprints taken at the time of the class. · Bring the Department of Public Safety Concealed Handgun Application package with you if you have one. (Not required to take the class). · The cost of the class is $50.00 cash due at the time of the class. Please cash only! !